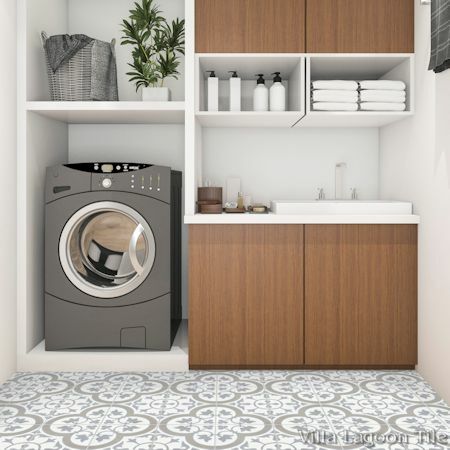 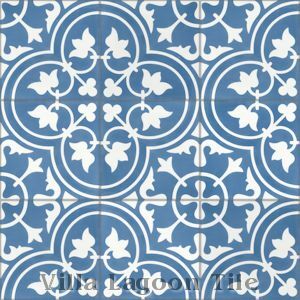 The family of patterns we call "Tulips" have been a staple of cement tile for more than a century. 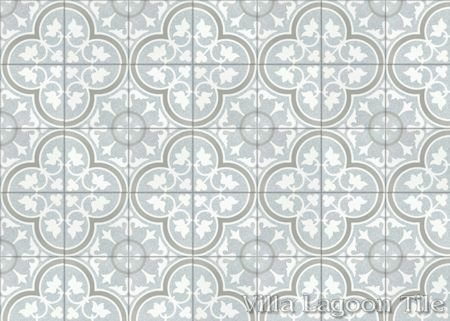 Dominated by the traditional quatrefoil shape, this pattern is accented by flowers, wings, and other traditional shapes. 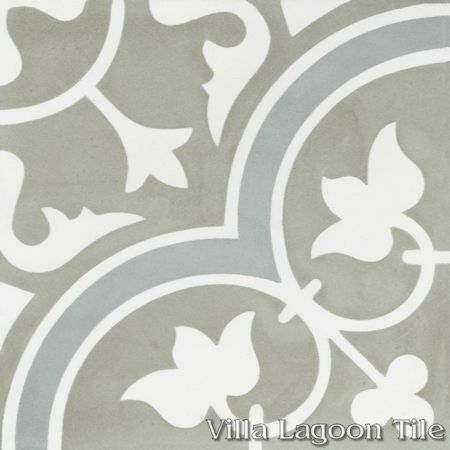 Standard Price:$7.04 per tile ($16.19 / square foot)* tiles per box. Villa Lagoon Tile's "Tulips B" cement tile pattern using White, Featherstone, and Misty Gray Terrazzo from the South Beach Palette. 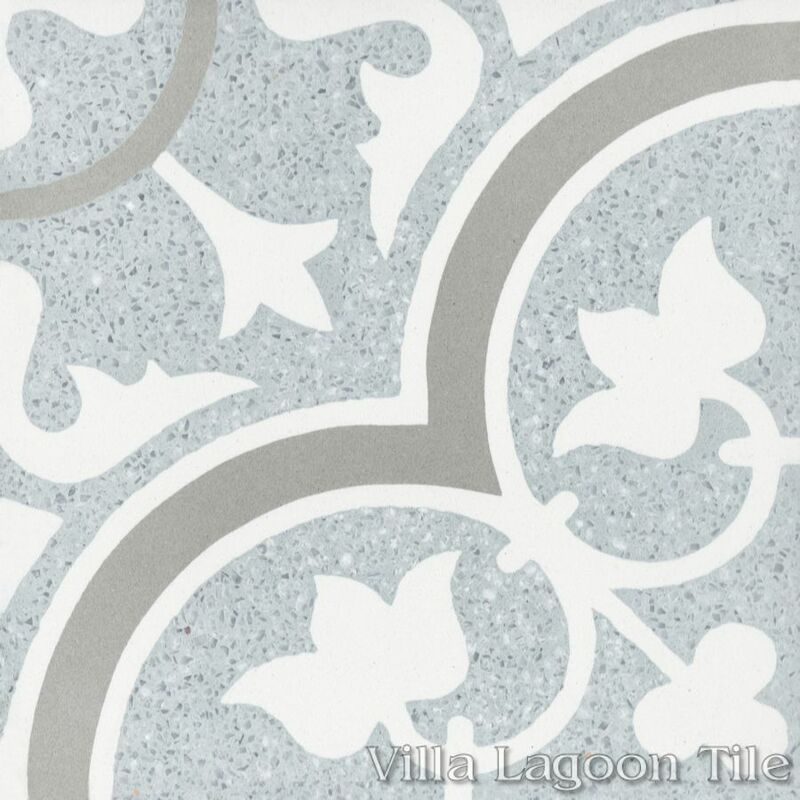 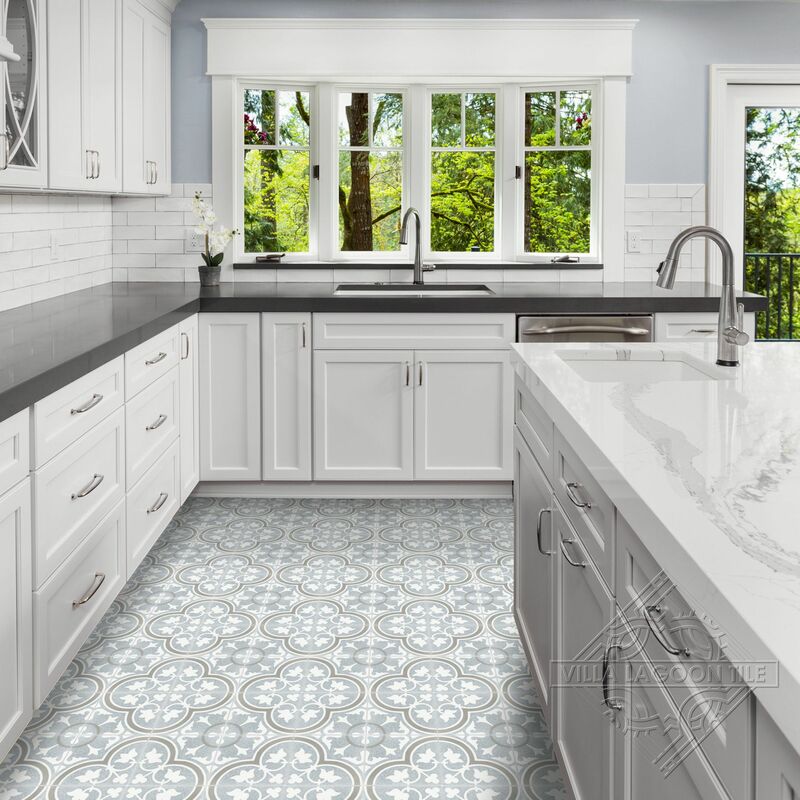 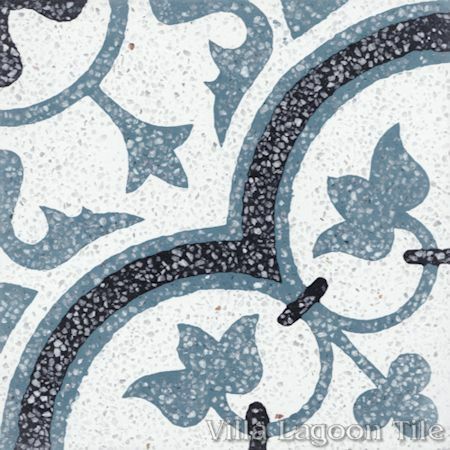 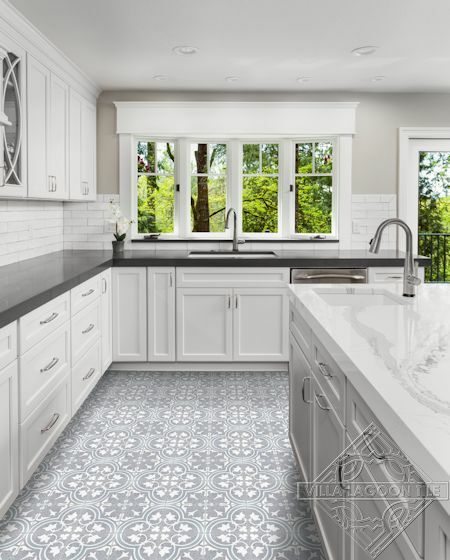 Villa Lagoon Tile's "Tulips B" cement tile pattern using White Terrazzo, Excalibur Terrazzo, and Misty Gray Terrazzo from the South Beach Palette. 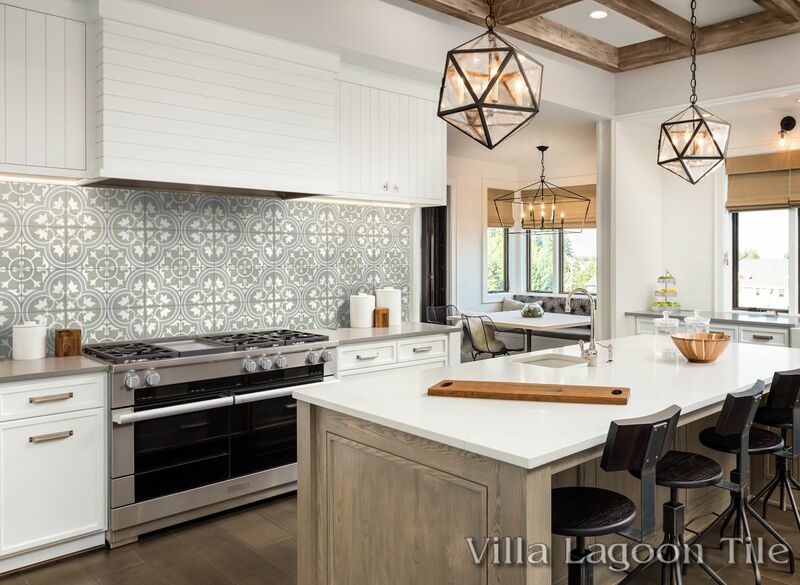 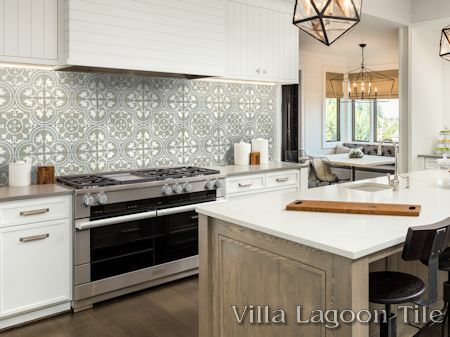 Villa Lagoon Tile's "Tulips B" cement tile pattern using White, Featherstone Terrazzo, and Misty Gray from the South Beach Palette. 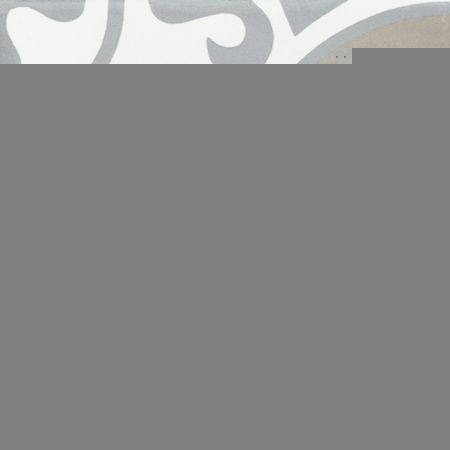 *Note: Our older production was pre-sealed, and had slightly different pours. 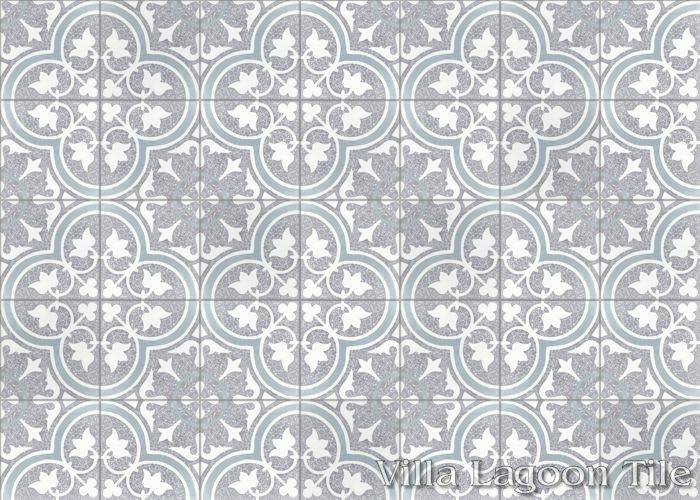 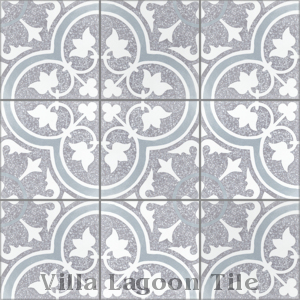 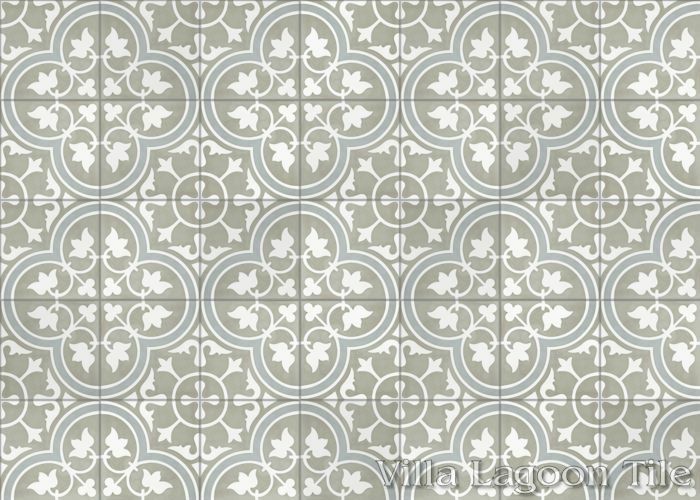 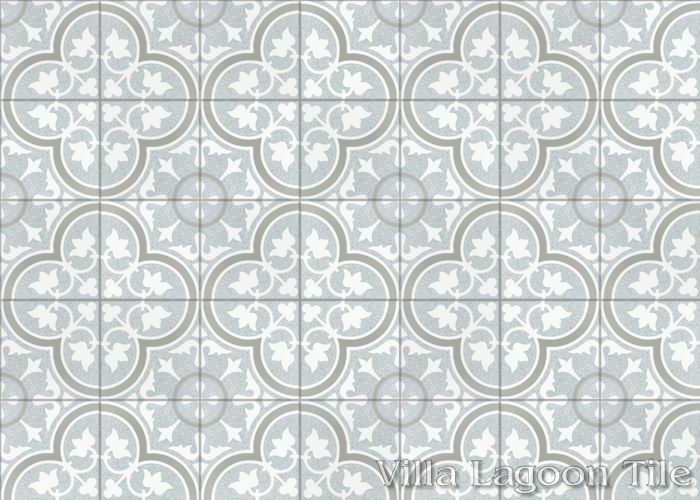 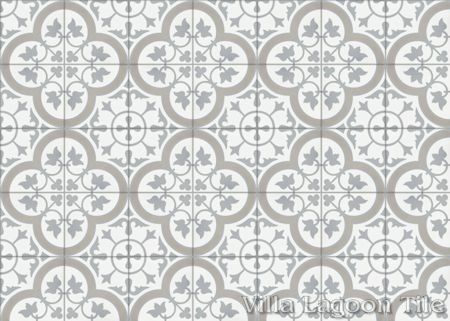 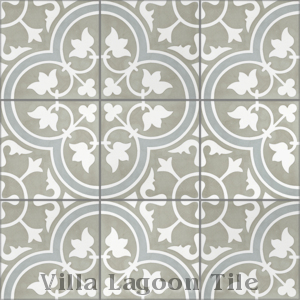 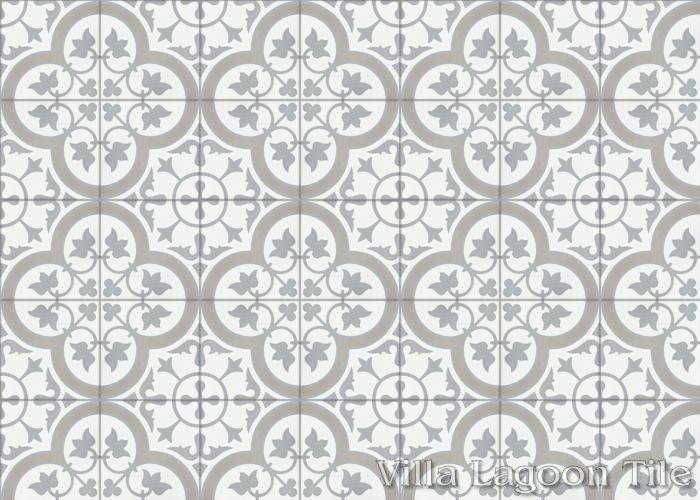 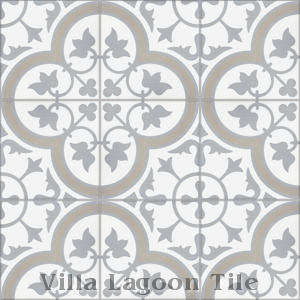 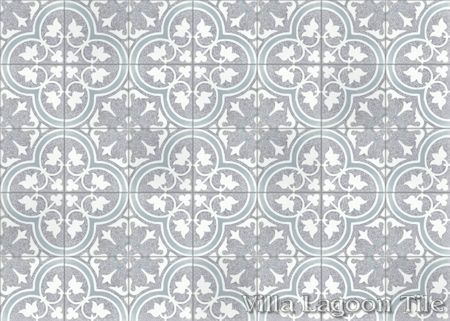 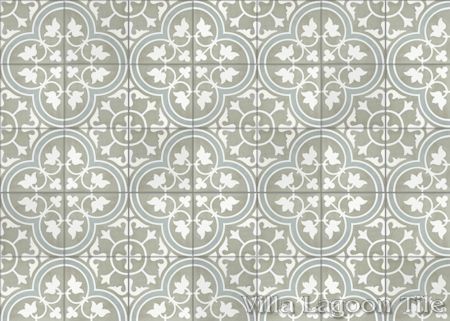 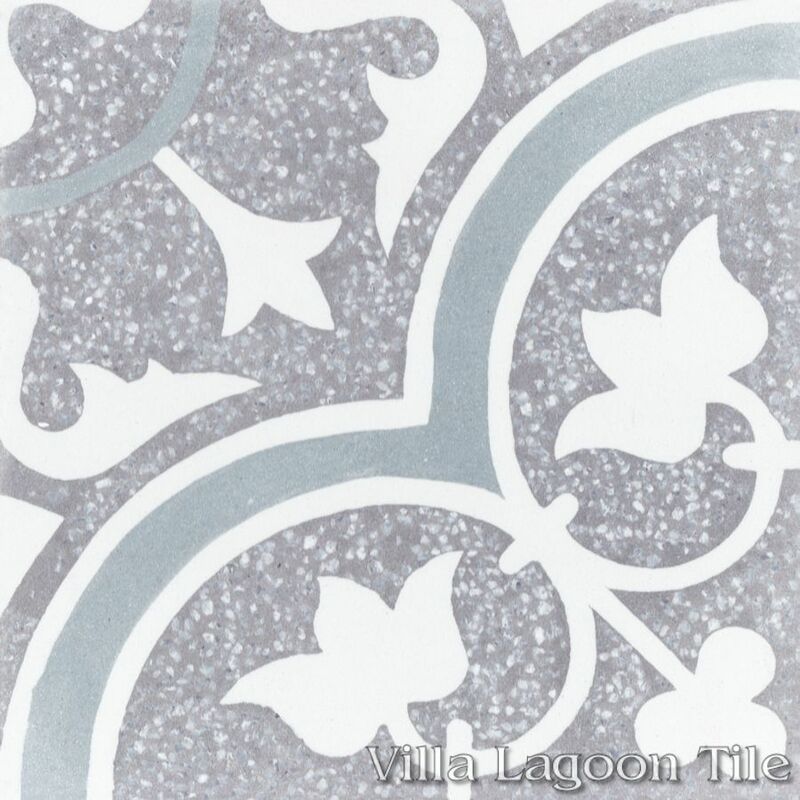 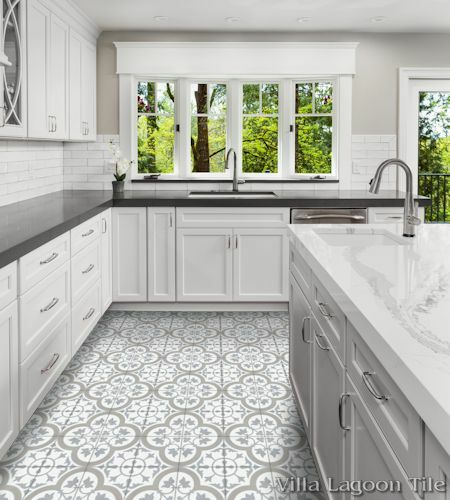 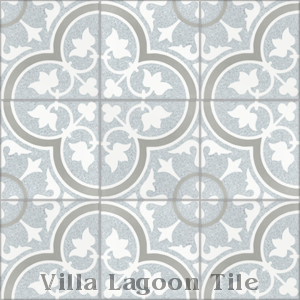 Villa Lagoon Tile's "Tulips B" cement tile pattern using White, Featherstone, and Misty Gray from the South Beach Palette. 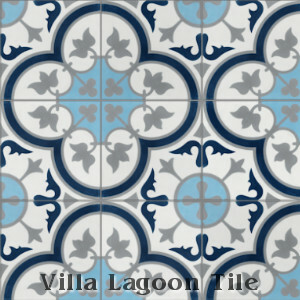 Villa Lagoon Tile's "Tulips B" cement tile pattern using White, Lexington, Miami Blue, and Deep Inlet from the South Beach Palette. 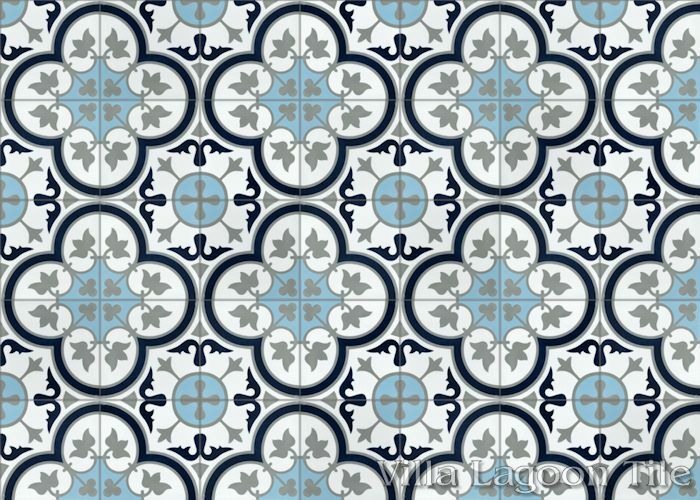 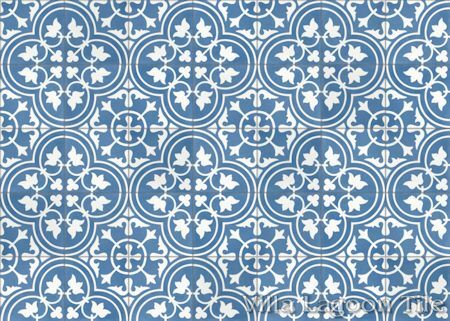 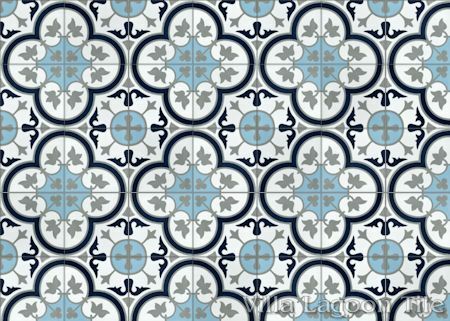 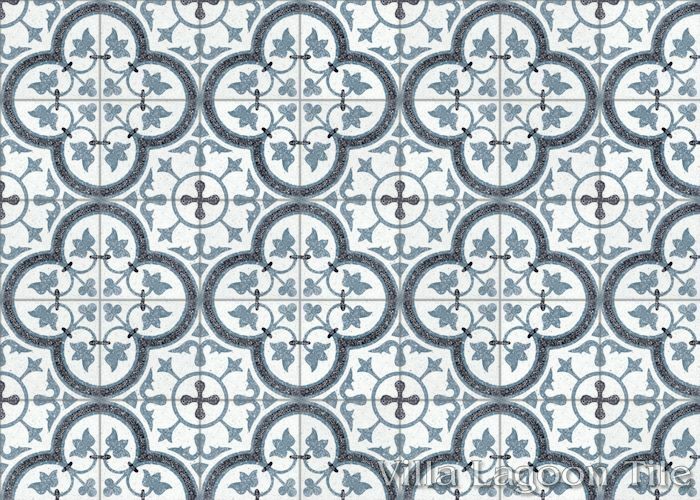 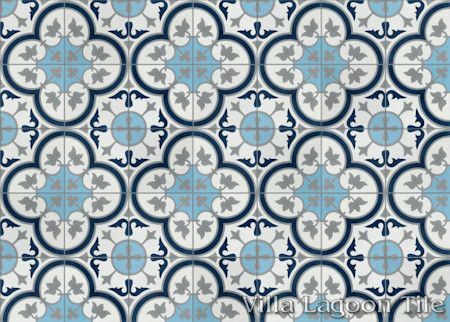 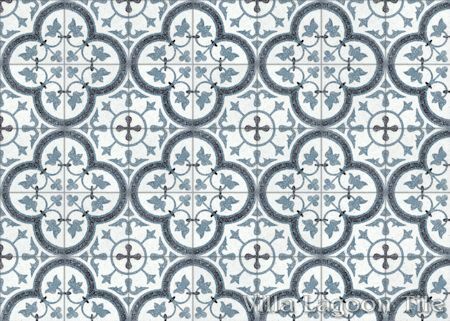 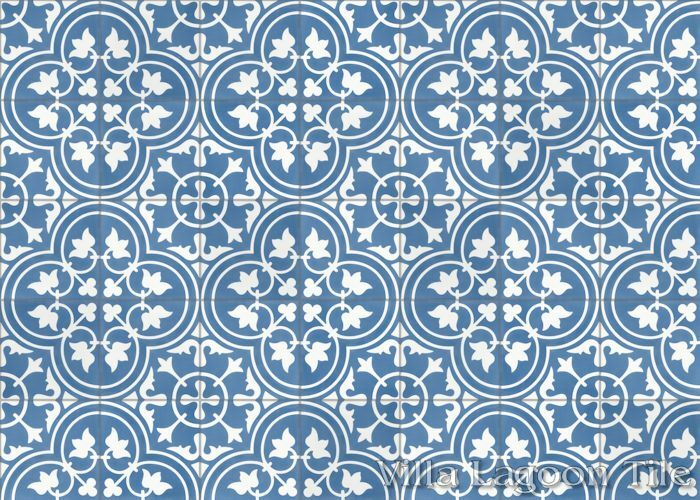 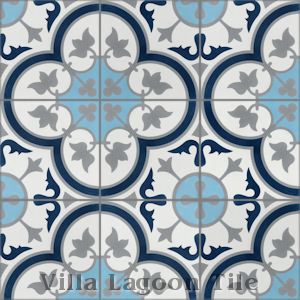 Villa Lagoon Tile's "Tulips B" cement tile pattern using White, Lexington, Miami Blue, and Navy from the South Beach Palette. 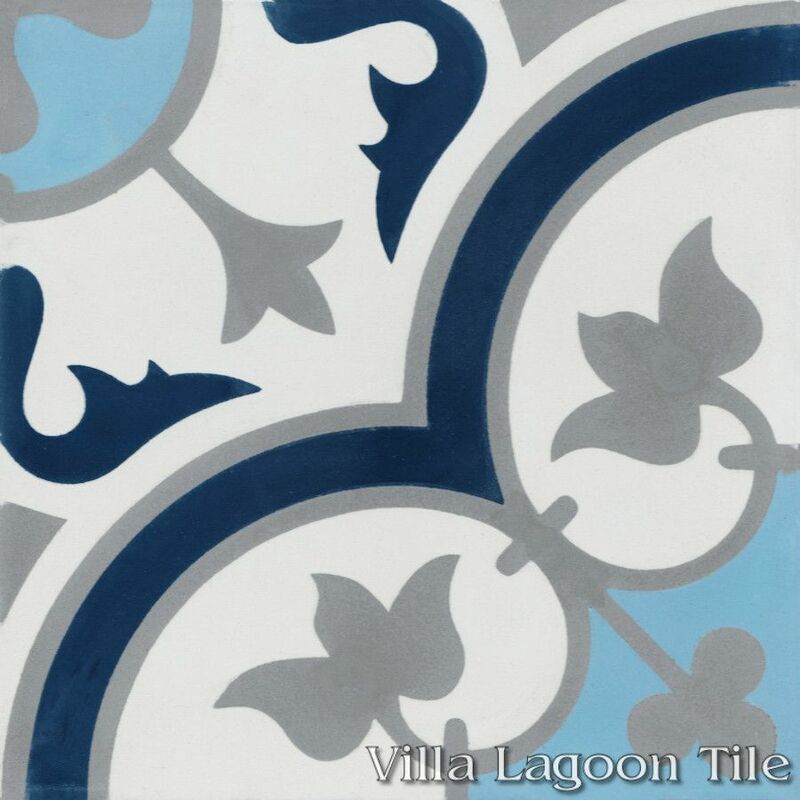 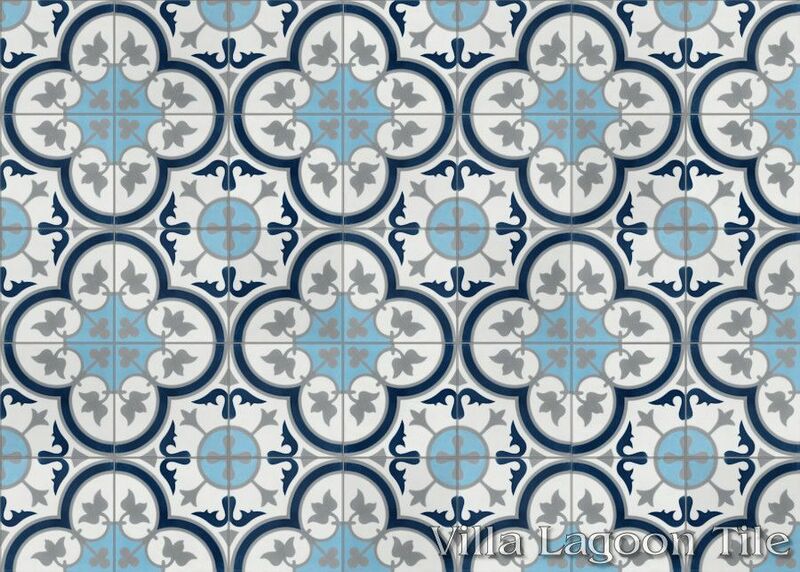 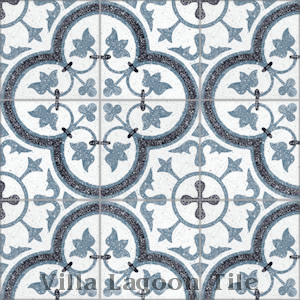 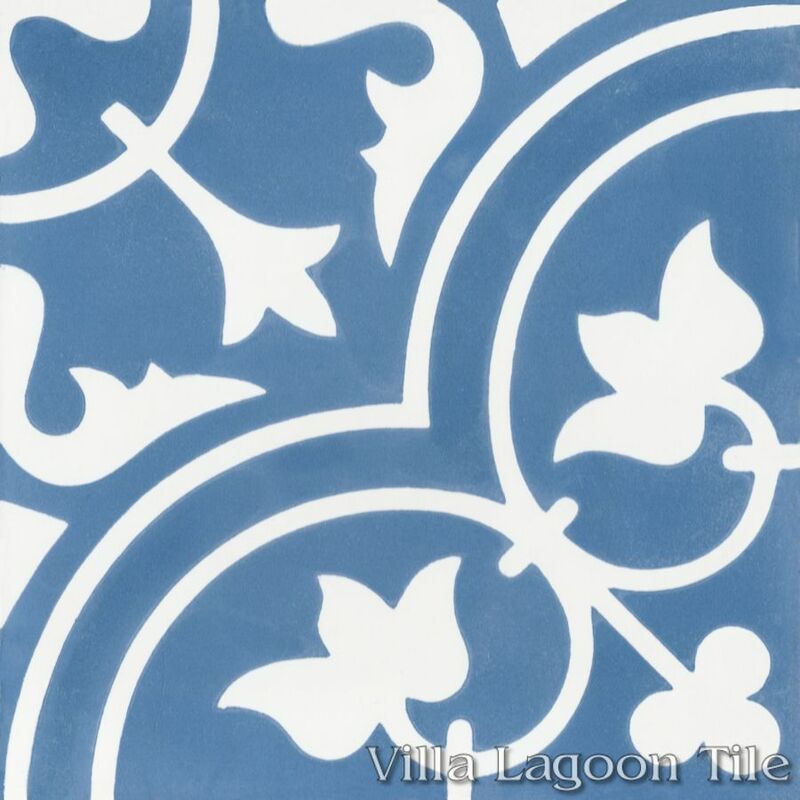 Villa Lagoon Tile's "Tulips B" cement tile pattern using White and Royal Blue from the South Beach Palette.